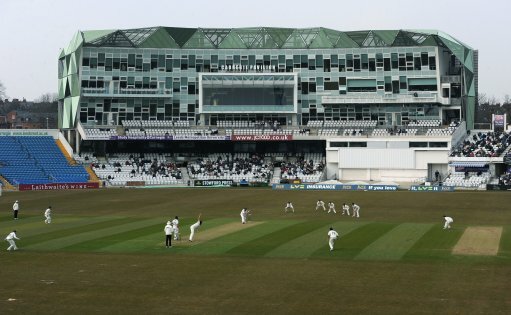 The painful lesson from this demolition is that even if the Yorkshire puddings sneak into the last eight, they still seem ill-equipped to flourish in Twenty20 cricket. Our bowling is inadequate, save for the efforts of Jack Brooks, and our batting looks equally threadbare once you remove the top three from the equation. It was after all no coincidence that the Tykes collapsed from 138 for three to a staggering 143 for seven. Just as Lancashire overtook us in the group table last night, so too Nottinghamshire deservedly leapfrog us. The visitors will have the chance of revenge next Friday in the final group match. However even two wins next week may not shunt the impotent Vikings into the Vitality Blast quarter finals. Nottinghamshire Outlaws versus YORKSHIRE VIKINGS; in Nottingham; Vitality Blast; Friday the tenth of August. Nottinghamshire Outlaws won the toss. Nottinghamshire Outlaws win by sixty-three runs.